The Turkish Stream gas pipeline project makes Greece an important and useful partner for Russia’s Gazprom, despite the country‘s financial problems, Forbes magazine has said. Greek Prime Minister Alexis Tsipras and Energy Minister Panagiotis Lafazanis have signed a memorandum of cooperation with Russia’s Gazprom and the Russian government as part of the new Turkish Stream pipeline to diversify natural gas shipments to Europe away from Ukraine, according to the magazine, thus making Greece a transit hub for European gas. “This is more of a real estate and political deal than an investment, as Greece is hardly a capital player in today’s market,” Kenneth Rapoza, a Forbes contributor said in the article published Sunday. “Greece may look like a non-perfect alliance partner, but its geographic location will help the gas companies of Russia and Turkey to receive everything they require from Europe,” the magazine said. Meanwhile, Athens expects “significant financial dividends from the pipeline's operations.” Prime Minister Tsipras visited Moscow last week and expressed an interest in participating in the project to Russian President Vladimir Putin. The Turkish Stream gas pipeline could help Greece become one of the main energy distribution centers in Europe, giving Athens the ability to pay off its debt to international creditors. The Turkish Stream pipeline has replaced the South Stream project which was intended to transport Russian gas through the Black Sea to Bulgaria, avoiding Ukraine – and through Serbia, Hungary, and Slovenia, and on to Austria. Russia was forced to withdraw from the South Stream project last year due to the EU’s unwillingness to support the pipeline. 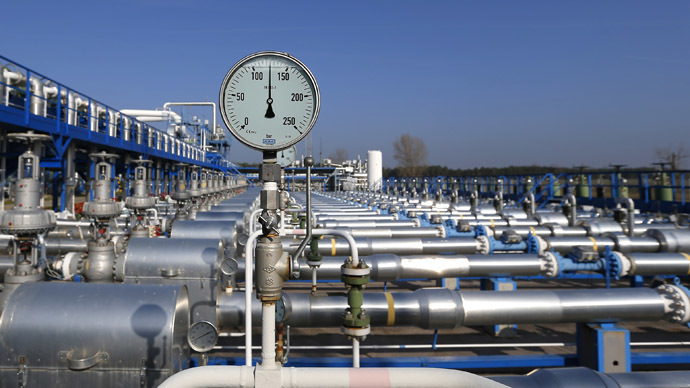 Under the new project, Russia’s Gazprom will build the gas pipeline to Turkey and will create a gas hub on the border with Greece for customers in Southern Europe.